This is a simple recipe if you have an hour to spare and a beer in the fridge. It feeds the entire family for under $10. 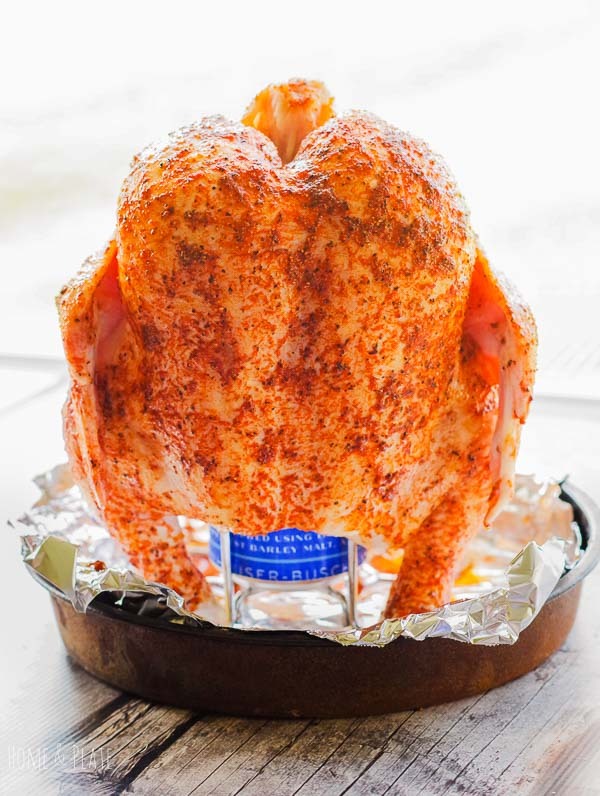 Beer can chicken is a whole chicken cooked on a beer can which is been stuffed inside the cavity of a chicken. 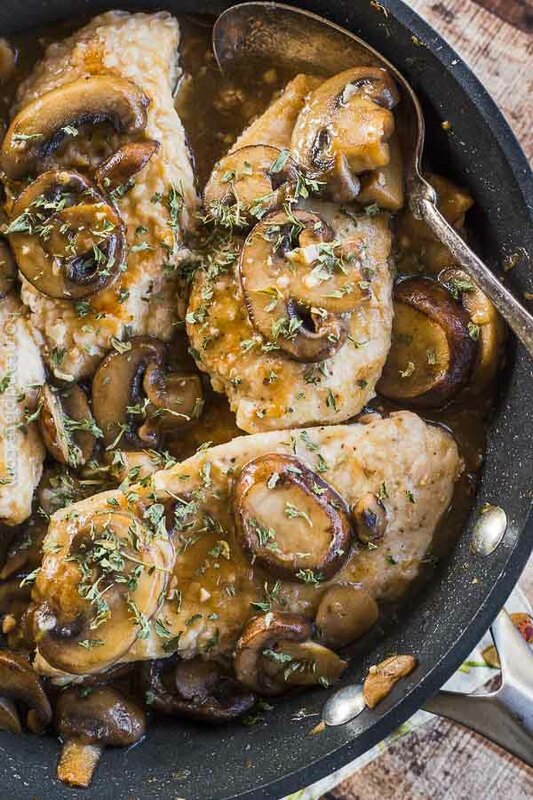 The beer steams the bird from the inside out resulting in the most juicy and moist chicken. The homemade barbecue rub reacts with the beer to create the crispiest chicken you’ve ever eaten. This grilled favorite is on the rotation in my house all summer long. 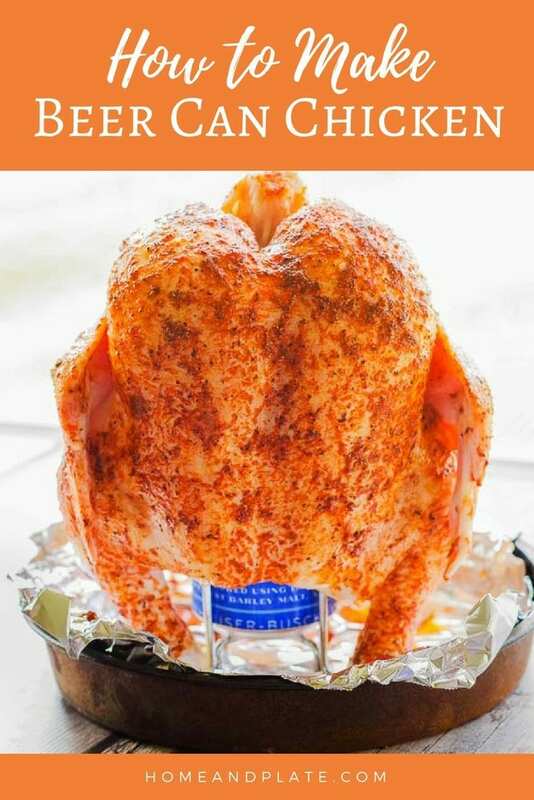 Beer can chicken is a breeze to prepare. You’ll need a 4-5 pound fresh chicken, your favorite barbecue rub and a can of beer. 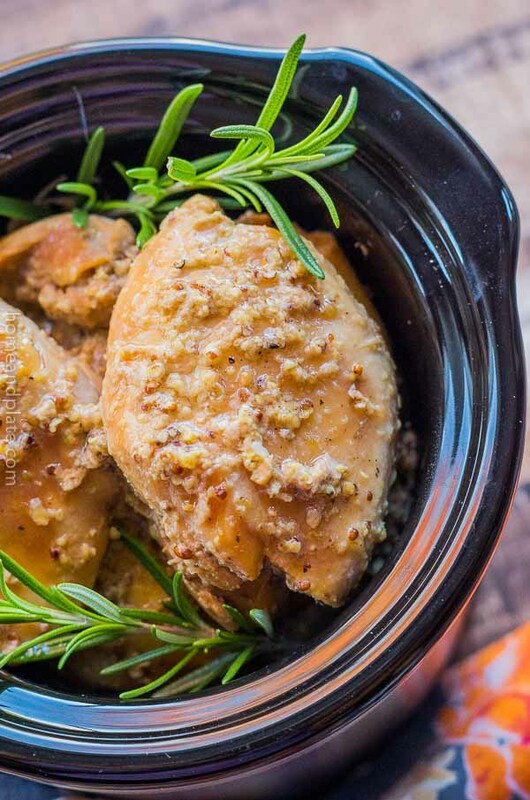 One handy tip to avoid flareups is to mix your spice rub with a little bit of water rather than olive oil to create a paste before applying to your chicken. 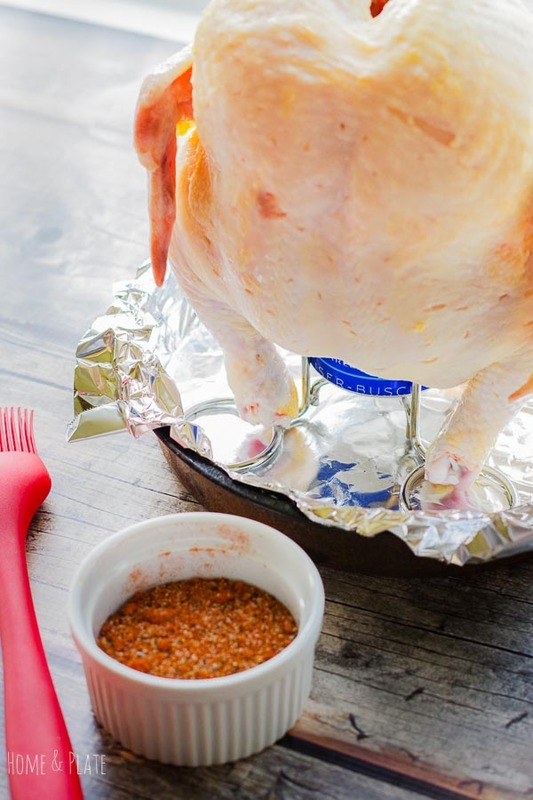 Use a pastry brush or your fingers to apply the barbecue rub to the bird. 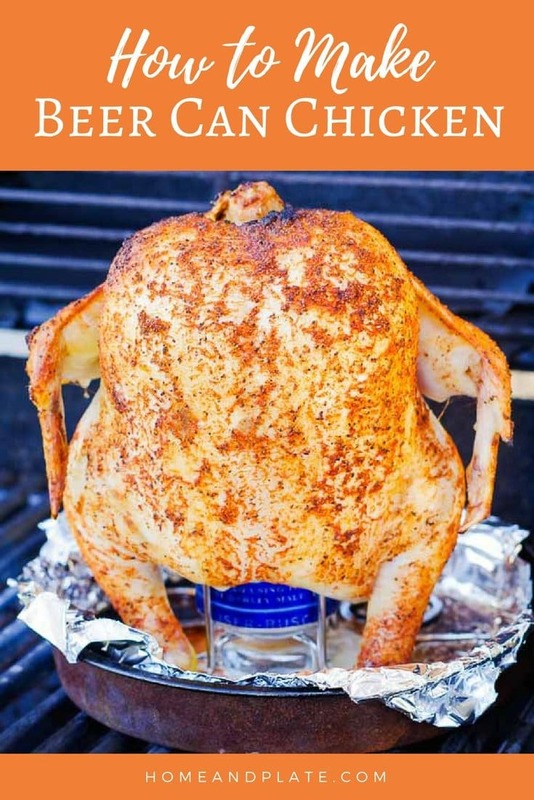 You can pick up a beer can chicken stand at your local home improvement store to make your chicken a bit more sturdy. Or you can use the chickens legs to strategically steady and tripod the bird onto the gas grill. I also like to place the chicken on top of a foil lined baking sheet or pan while the bird is cooking to prevent flareups and for easy cleanup. Preheat your gas grill to medium. Adjust the heat to the burner where you will be placing the chicken to low. The other burners should stay at medium heat. Be sure to keep an eye on the bird while it’s grilling and adjust the temperature if needed. You don’t want flareups. Otherwise you’ll end up with a burnt bird. After an hour, the meat will be so moist and succulent. Turn off the grill and wait a few minutes before removing the entire pan from the grill. This makes removing the chicken from the grill easier. 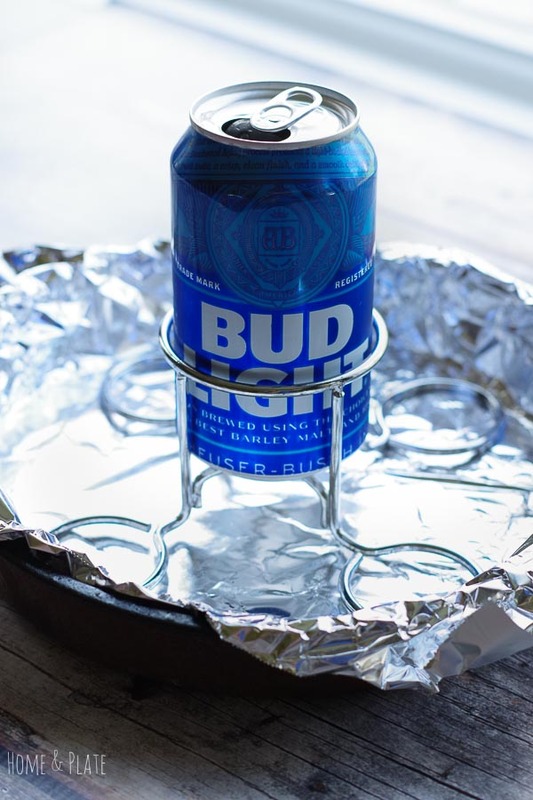 Then allow the chicken to rest for a few minutes to cool before removing it from the beer can tripod. Next step is a two-man job. Person No 1: used to paper towels to hold the bottom of the beer can/beer can holder. Person No 2: Use two large paper towels and lift the bird under its wings from the beer can. Play around with different beers or sodas as well as different spice rubs. 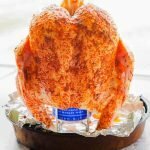 Want to learn how to make Beer Can Chicken? Pin it to your Summer board to save for later! Clean the chicken and remove the neck and giblets from the inside of the bird. Drink half the can of beer, or pour half into a separate glass for later, and prop the bird cavity over the beer can. Add a tablespoon of water to the rub and mix it into a paste that can be brushed over the bird with a pastry brush. Making beer can chicken is a lot easier than I thought it would be. I sometimes find chicken a bit dry and this sounds like a perfect solution. It is easy to make and I even will make it in the oven when the weather is colder. I will make this all year long. Thanks Vicky. Wow this is so innovative! I am impressed! It’s the talk of the party when we grill the whole bird at bbqs. The skin is so crispy and the meat so juicy. Our favorite way to grill a whole chicken. Oh this chicken looks so wonderfully moist and flavorful!! 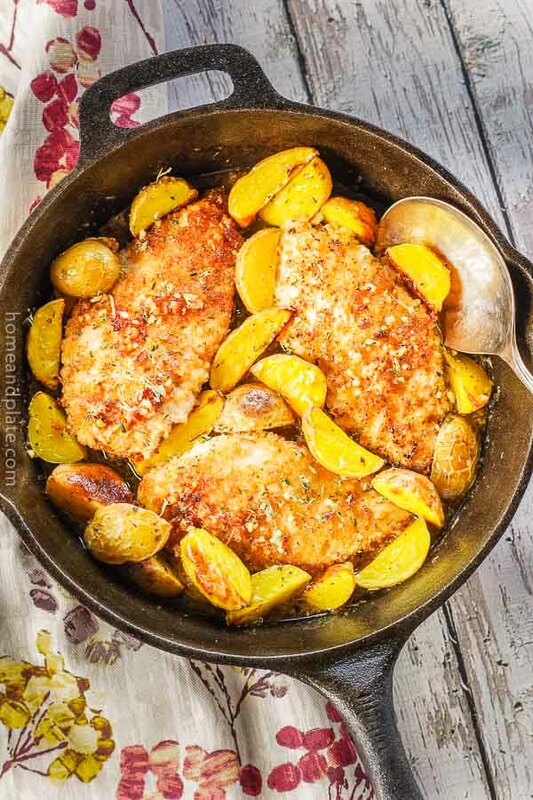 Such a quick and simple idea for a tasty chicken dinner!